Cheated by her stealing, polygamist husband of 17 years, once high-flying corporate executive Christine Meeusenfled penniless with her three young children as her American dream began to unravel. Determined to make a living for her family, she discovered the lucrative business of cannabis farming, and met her calling as founder of medicinal marijuana empire Sisters of the Valley. Shedding her former life, Christine became Sister Kate; on a mission to provider her products to those in need, fighting off the country sheriff and protecting her crop from deadly black market thieves. The 'Breaking Habits' competition has now closed. Winners will be announced shortly. Competition opens at 5pm AEST on Sunday 7th April 2019 and closes at 11:59pm AEST on Sunday 14th April 2019. Five winners will be chosen at random on Monday 15th April 2019. To successfully win, entrants must fulfil the above entry conditions before the time the competition closes. Current members/followers are eligible to enter the competition. Only one entry per person. Only one winner per household. To be a valid winner, the entrant must not have won a prize from SWITCH within the last 28 days. Each winner will receive one double pass to 'Breaking Habits'. By entering, you agree to receive occasional emails from SWITCH in the future. If you decide to unsubscribe from these updates, any further entries will not be applicable. Only Australian residents are eligible to enter. 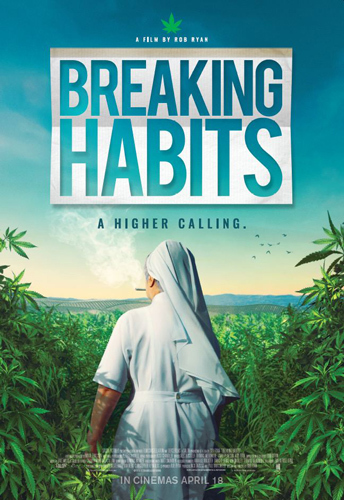 'Breaking Habits' is in cinemas from Thursday the 18th April 2019 through Icon.